She earned a bachelor of business administration degree from St. John’s University in Jamaica, and three master’s degrees in the fields of education from Hunter College, Manhattan; spiritual formation from Duquesne University, Pittsburgh, Pa., and theology from the Seminary of the Immaculate Conception, Huntington. Formerly known as Sister Gabriel Dolores, she taught at Queen of All Saints, Fort Greene, 1950-53; Holy Name, Park Slope, 1953-54; St. Francis Xavier, Park Slope, 1954-58; St. Mary, Mother of Jesus, Bensonhurst, 1958-62; St. Ann, Flushing, 1962-68, and St. Pascal Baylon, St. Albans, 1968-69. She served at Our Lady of Lourdes, Bushwick, as a teacher, 1969-72, and then principal, 1972-74. She was an administrative assistant at St. Francis School for the Deaf, Crown Heights, 1974-75; secretary to the dean at St. Joseph College, Clinton Hill, 1976-77; and served at Bishop Kearney H.S., Bensonhurst, 1977-86. She earned a professional diploma in spiritual direction from Fordham University and was a member of Spiritual Directors International, giving directed retreats, sacramental preparation programs, evenings of recollection, retreat days and at-home retreats. In 1986, her ministry took her to the Rockville Centre Diocese, where she served as religious education director at St. Mary’s parish, Manhasset, until 1997, and at St. Aidan’s, Williston Park, 1998-99. 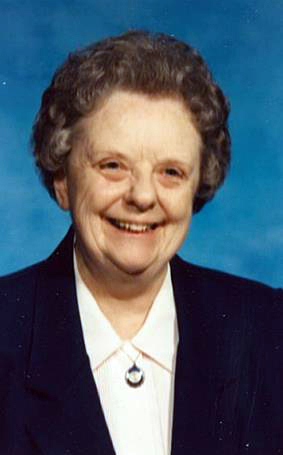 She engaged in retreat work, 1997-98; served at Our Lady of the Miraculous Medal, Point Lookout, 1999, and was an administrative assistant to Auxiliary Bishop James Daly, Blue Point, 1999. A Mass of Christian Burial was held in Sacred Heart Chapel, Brentwood, March 30. Burial followed in Calvary Cemetery, Brentwood.